I shot the sheriff. But I sure as heck didn't use a gun. 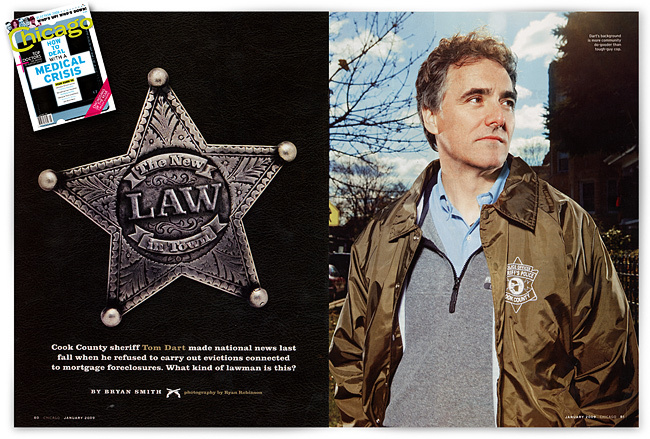 Check out January's issue of Chicago Magazine for a great feature on Cook County sheriff, Tom Dart. He was such a cool guy to work with, but don't let his demeanor fool you, he's pretty tough and I wouldn't want to get in his way. Ever.